Inspired by the Concept Tii, These Carbon Mirror caps are made by BMW for your E82/E88 1 Series. No longer do you have to settle for the inferior fitment and finish of after market parts to get the aggressive look you are looking for. These covers install super easy with hands tools. 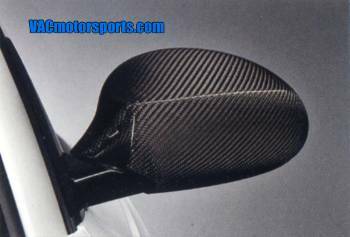 Please note: These are covers only and do no replace the OEM mirror assembly or glass.